This is the touching life story of Oba Ovonramwen Nogbaisi who ruled the Benin empire before he was dethroned and exiled by the British. 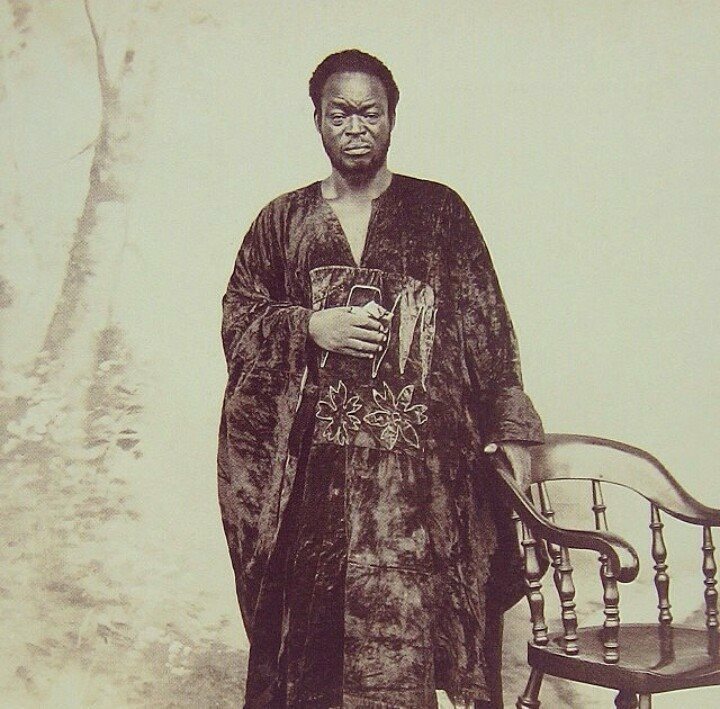 Ovonramwen Nogbaisi (ruled 1888 – 1897), also called Overami, was the Oba (king) of the Kingdom of Benin up until the British punitive expedition of 1897. Born in circa 1857, he was the son of Oba Adolo he took the name Ovonramwen Nogbaisi at his enthronement in 1888, every Oba took a new name at his coronation, the name translates as Ovonramwen meaning "The Rising Sun" and Nogbaisi meaning "which spreads over all." A British invasion force headed by Phillips set out to overthrow the Oba in 1896. The force's weapons were hidden in baggage, with troops disguised as bearers. Phillips plan was to gain access to Ovonramwen's palace by announcing that he intended to negotiate. Ovonramwen's messengers issued several warnings not to violate Benin territorial sovereignty, claiming he was unable to see Phillips due to ceremonial duties. Having been warned on several further occasions on the way, Phillips sent his stick to the Oba, a deliberate insult designed to provoke the conflict that would provide an excuse for British annexation. Phillip's expedition was ambushed and all but two were killed. Subsequently a military operation against Benin in 1897 led by Harry Rawson resulted in the burning of Benin City, the destruction and looting of the royal palaces, and the deaths of untold numbers of its inhabitants. Although the British had orders to hang the Oba, Ovonramwen escaped, but returned to the city to formally surrender on 5 August 1897. When Ovonramwen returned to the city, after six months spent in evading capture in the forest, he was richly dressed and laden with coral beads and accompanied by an entourage of seven hundred to eight hundred people. He attempted to escape exile by offering Consul General Ralph Moor 200 puncheons (barrels) of oil worth £1500 [£183000.00 today] and to disclose where his 500 ivory tusks were buried [today's value: Up to £275,625,500.00] however this offer was dismissed as Mr. Moor had already discovered them. Ovonramwen was exiled to Calabar with his two of his wives, Queen Egbe and Queen Aighobahi, and died there around the turn of the new year in 1914. Ovonramwen was eventually buried in the grounds of the royal palace in Benin City. He was succeeded by his first son and legitimate heir, Prince Aguobasimwin, who ruled as Eweka II.